Senior journalist Shaheen Sehbai has revealed that he was not shown the report in which the newspaper purported that the International Council for Investigative Journalists (ICIJ) mistakenly included Prime Minister Nawaz Sharif’s name in the Panama Papers before it was filed. 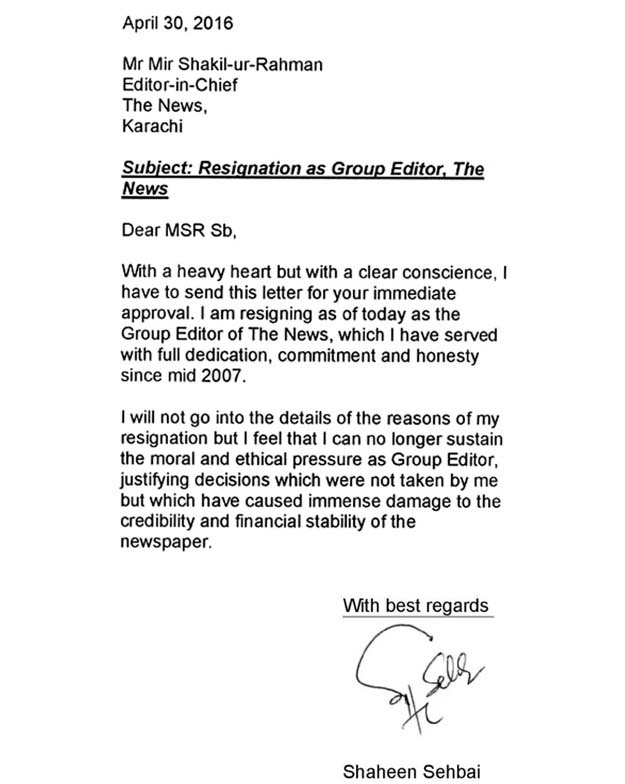 Speaking to a panel comprising Express-News anchors Imran Khan and Gharida Farooqi, and Daily Express Group Editor Ayaz Khan after resigning as the group editor of The News on Saturday, Sehbai said his reports at The News were radically changed without his permission. “We were ashamed of certain decisions taken by my organization and I now realize that the Jang Group promoted its own perception and angled all news according to its own need,” Sehbai said. He added that the Jang Group was facing a lot of issues for a very long time. “I was not told about this report at all. Such moves usually took place after midnight and usually orders from the top were accompanied by ‘suggestions’ about which news was to be accommodated wherein the newspaper,” he added. Things were micromanaged at his previous organization, he said, adding that orders from the top usually not only included ‘hints’ at the placement of even single-column news items but also which report was to be radically edited too. “Owners of the Jang Group have a clear-cut view on what sort of news reports and editorials are to appear in their newspaper. They view everything in accordance with their own perspective and print newspaper in line with their own viewpoint every day. Everything is determined by the group’s owners,” he said. “And everyone witnessed whatever happened afterward. My differences on policy matters began from that time, I kept telling him not to pursue the course of action he had chosen. The mind of Mir Shakeelur Rehman may contain a host of disparate agendas, but he had some views of his own too,” he added. “When the attack on Hamid Mir happened, he (Mir Shakeel) told me that he believed that his group was destined to control military supremacy and establish civilian ascendancy. 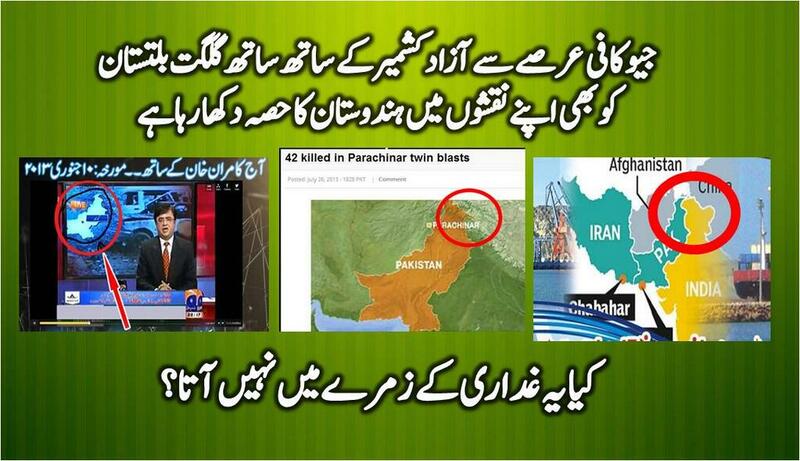 Right after the Hamid Mir incident, I tried my best to normalize the situation,” he said. “I am in Washington, facing a lot of criticism. So many people have approached me, asking what is happening with my newsgroup? I gave them their phone numbers and told them to ask the owners themselves. I have no idea what the media group is reaping or hopes to reap in return for supporting the government, except, of course, government advertisements,” he added. “The group has so far avoided a direct civilian-military clash, but editorials and the display of news reports reflect such a situation. If there is a debate on the civilian-military relationship, the group would always advocate civilian ascendancy, even when civilian leadership is in the wrong,” he added. Published in The Express Tribune, May 1st, 2016. 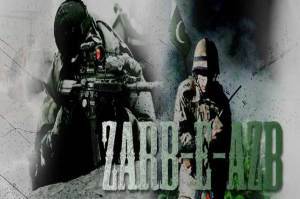 ZarbEAzb is progressing successfully, in its fourth month now. Since before the operation started, it was opposed by Govt. and some other parties. 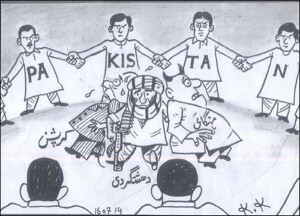 Despite of all the damage caused to Pakistan and the Pakistanis, government and its allies. They all were still in favor of carrying on with the negotiations, and even a common Pakistani knew that, negotiations will never bring peace to Pakistan. Since the operation was started, firstly it was opposed, but it was Pakistani nation, that stood with their Army, and supported their Armed forces. The operation has remarked great success up till now and as according to the leader, the COAS, operation will continue till complete elimination of terrorists. With the courage Pakistan Army is moving on, they will defeat terrorists soon. Taliban’s are now in real trouble, as on going military operation is going to remark their end, and they are failing to stop Pakistan Army from advancing further into strong holds of North Waziristan. Over the weeks, as I have been observing the Pakistani Media very keenly, I came to know that Pakistani Media has stopped giving coverage to ZarbEAzb. Both Private and Govt. channels have stopped covering ZarbEAzb, PTV as it is a government channel, PTV’s bulletin at 9 has a news about ZarbEAzb of 1 minute or less after a day or two, but not regularly. Similarly, Private channels has also stopped conveying the operation updates to the nation. These days, the hot topics are on going protests in Islamabad, some anti-government movements, some coke studio gossip and some new movies launching soon in Pakistan giving a good hand to Pakistan Film Industry. That’s all fine, but how could they ignore nation’s war on terror? How could they forget about the biggest fight against terrorism? On the other hand despite of all the political blames, and attacks, bravery and courage on part of the officers and soldiers of Pakistan Army is appreciable. More than 82 soldiers have laid their lives, and more than 1000 militants have been sent to the hell. ZarbEAzb has marked great success, and is playing vital role in eliminating terrorism from the country. The big mile stones are achieved. But the saddest part is that media is totally ignoring the ongoing operation and is not providing the news to nation as it is required. Pakistanis are unaware of the major successes, like killing of Senior Tehreek-e-Taliban Commander, Gul Hassan Afgahani. The only valid source, now we can rely upon is official Army Press releases through ISPR. Major General Asim Bajwa’s press releases are given a slight light, but not major coverage to the most important operation is provided yet. Media should play their role, of being the neutral and decisive news-carrier between the nation and the officials. They can cover the other protests and all those things, but they should not neglect Army and their struggle. ZarbEAzb should be provided complete coverage and Media should keep a fine justice between other news and ZarbEAzb.